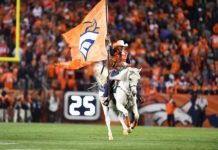 The Denver Broncos have a lot of work to do if they want to be back in the postseason for the first time since their Super Bowl 50 run and win. John Elway already traded for Joe Flacco, setting up the team’s signal-caller with a veteran who’s won in the playoffs and has even won a Super Bowl MVP. But, now the Broncos general manager must move away from Case Keenum in the smartest way possible — a trade by June 1 — or hurt the Broncos salary cap even more than it has been already by dead money. But, that still leaves voids at cornerback, inside linebacker, tight end and offensive line, notably. 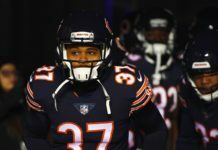 Some of those holes can possibly be filled through the NFL draft, while most of them will need to be filled by players through free agency. 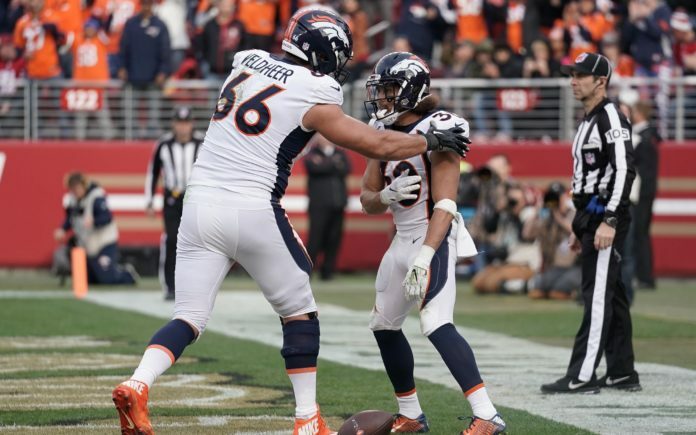 Two players the Broncos are looking to re-sign and help their offensive line are Jared Veldheer and Billy Turner according to Troy Renck. Veldheer, who was signed last year in free agency to play right tackle, struggled all season long before missing time due to a knee injury. He played in only 12 games, and even when he was healthy, Veldheer was not great. His 62.4 overall grade by Pro Football Focus made him the 58th-best tackle in the NFL last year, meaning he was on the cusp of being a starter/backup. He was called for eight penalties on the season and allowed one sack from that right tackle spot. Still, Denver must believe that with the addition of offensive line guru Mike Munchak, they can get more out of Veldheer in 2019. And, they’re likely hoping to get him for cheap; he made $6.875 million last year and one would guess the team will want to sign him for much less than that. As for Turner, he’s a versatile offensive lineman who can play guard or tackle and was asked to play in 11 games last year due to injuries. The Broncos see something they like in Turner and want to keep him on the team, likely for depth purposes. Grading out at a 62.8 last year, Turner was the 40th-best guard in the NFL per PFF, taking two penalties while allowing 3.5 sacks, a number which must improve. Turner made $2 million last year, and if Denver can re-sign him for that much, they’ll do just that. Another tidbit from Renck’s tweet: The Broncos are in talks with Shaquil Barrett, Matt Paradis and Bradley Roby, but those three key players will all test the market to see what their values are. The new league year starts on March 13, which is when Denver will officially bring in Joe Flacco and can start signing players for the 2019 season. The Broncos have $36 million in salary cap space currently, with that number set to be in flux due to Keenum, Brandon Marshall and many other players. 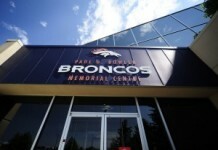 Certainly, it’s an exciting time to be a Broncos fan.